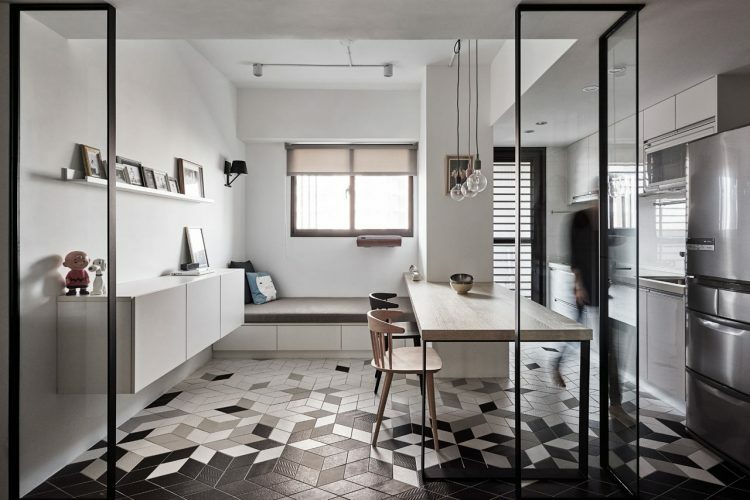 Asian design studios continue spoiling us with the eye-candies they design. 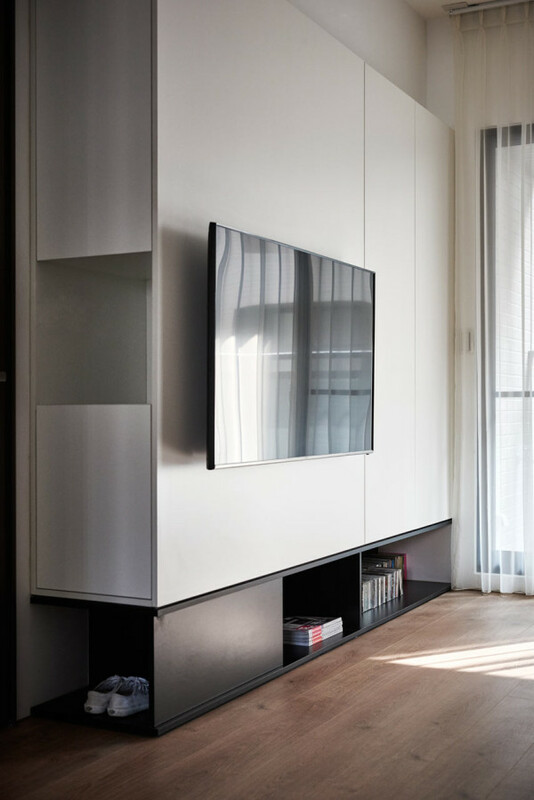 Today we are sharing an apartment in Taichung, Taiwan that’s 69 square meters in size, underwent a transformation led by Z-AXIS DESIGN. 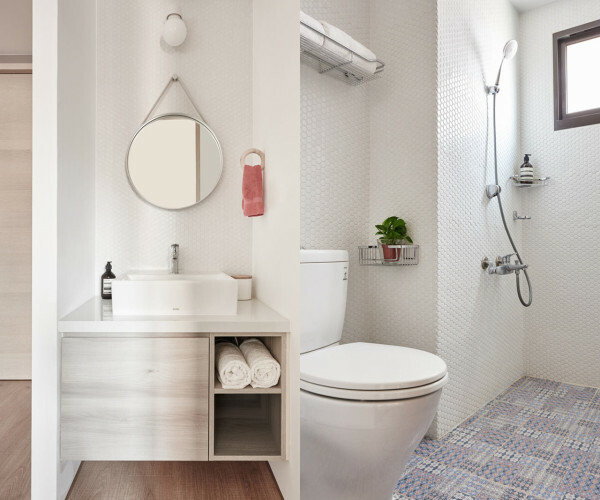 The décor is done in modern eye-catchy style with Scandi and mid-century modern touches that make it cozier and sweeter. 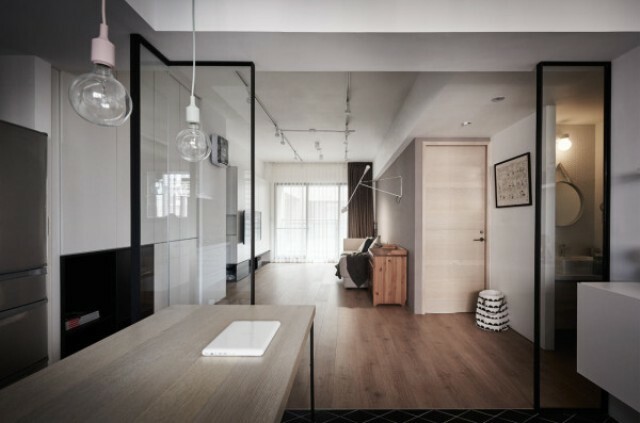 The apartment is kept totally uncluttered to make it look bigger, all the stuff is hidden within dressers and other storage furniture, that gives the spaces more style. 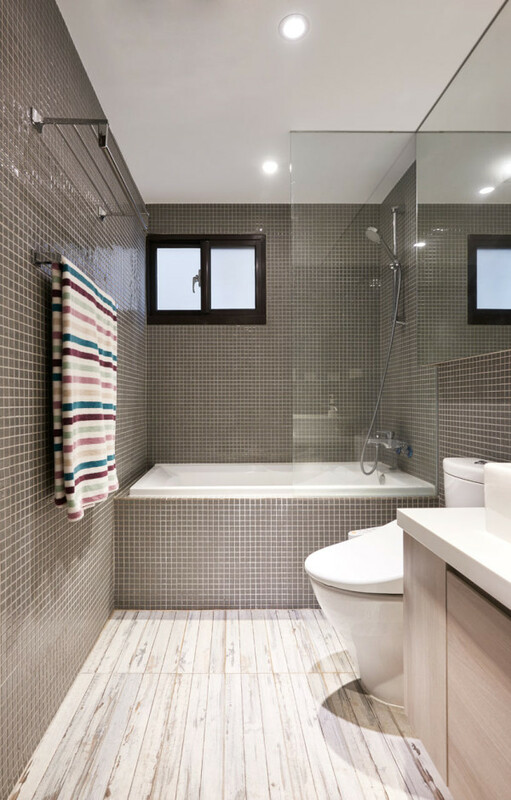 First, the layout went from three rooms to just two, per the owner’s wishes, to make the main living space bigger for quality time with family. 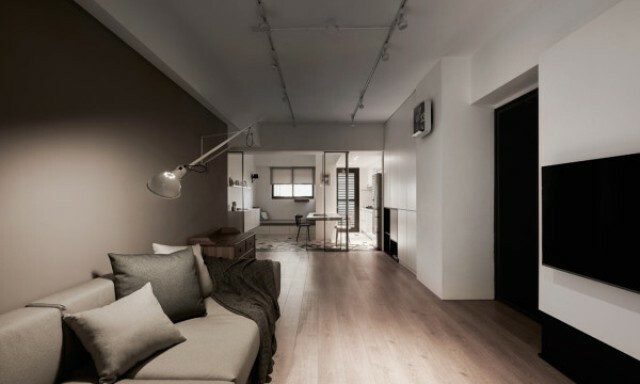 Then, each of the spaces was given a new look giving the overall apartment a simple, yet elegant aesthetic. 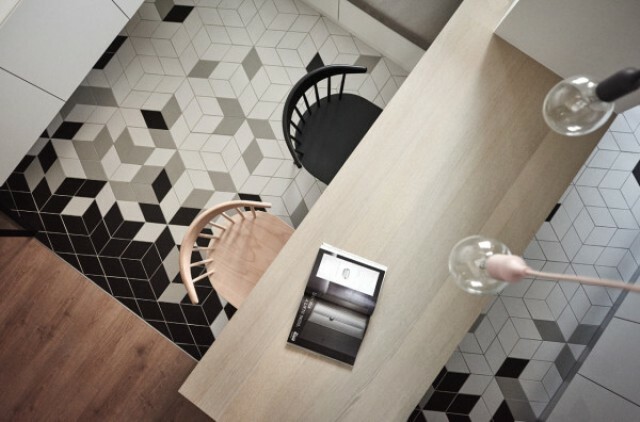 Black, white, and grey diamond-shaped tiles in the dining and rest area help separate the space from the living room while adding a graphic design element. 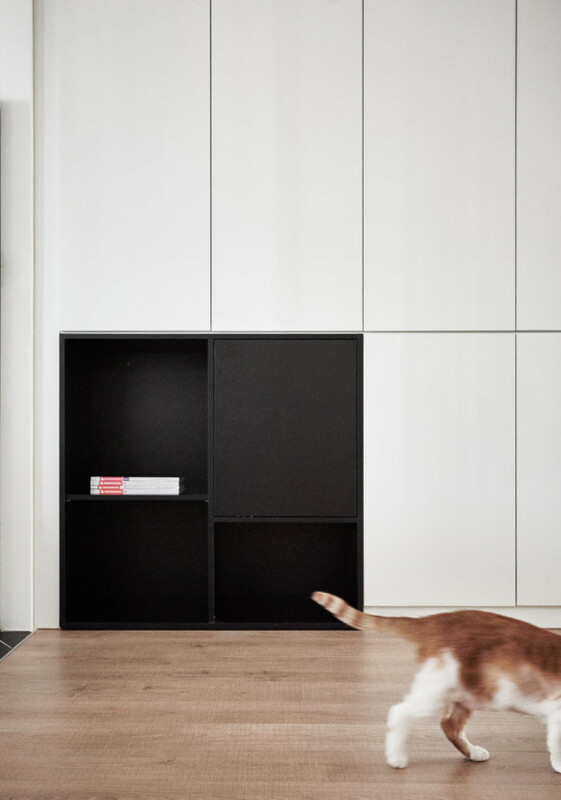 A clean and simple wall unit adds storage to the main living area. 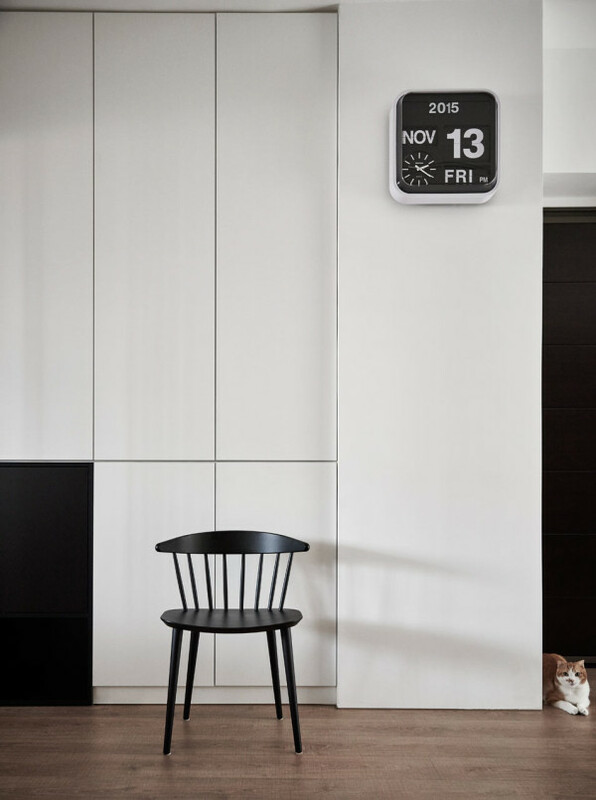 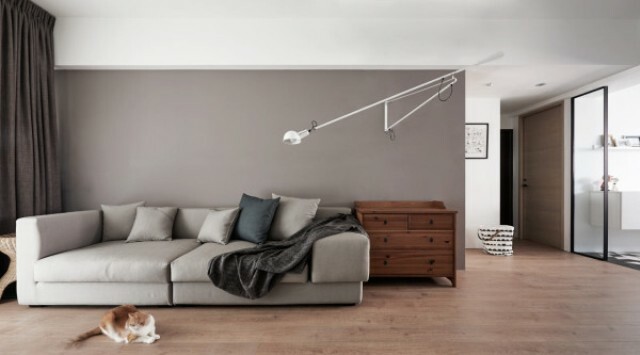 The wall behind the sofa was painted a light grey, which coordinates with the grey floor tiles in the ktichen. 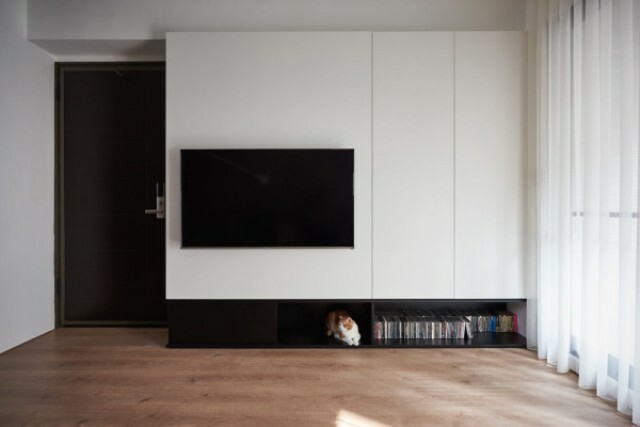 The TV wall hides cabinets and has cubbyholes for extra storage. 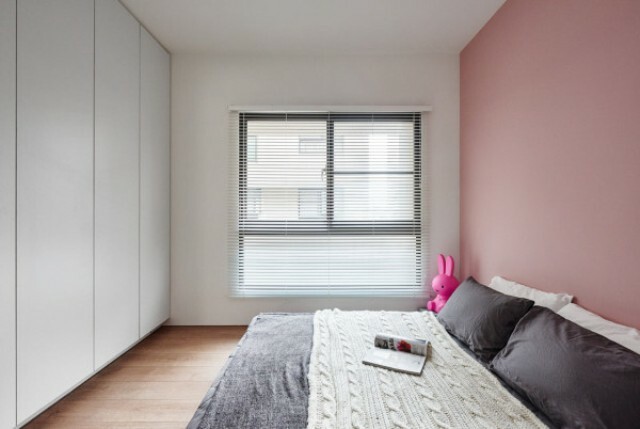 The master bedroom was painted a muted pink on the wall behind the bed and the desk. 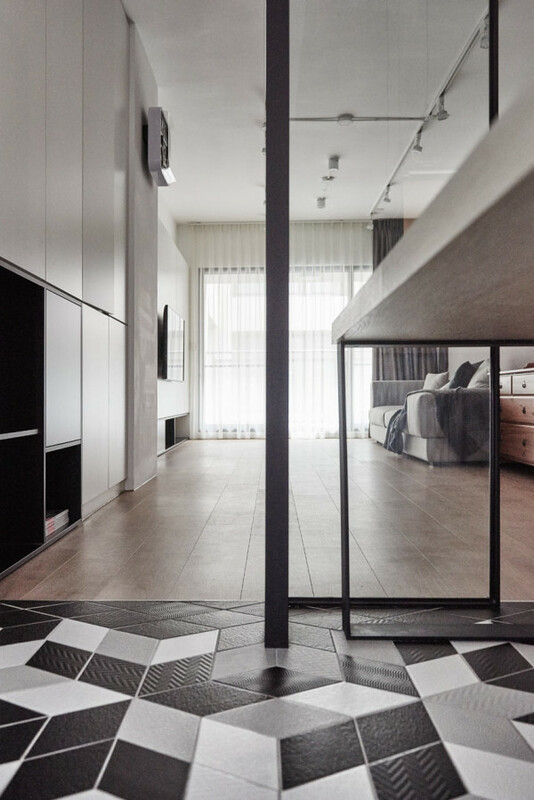 The bed was elevated on a raised platform to provide extra storage underneath. 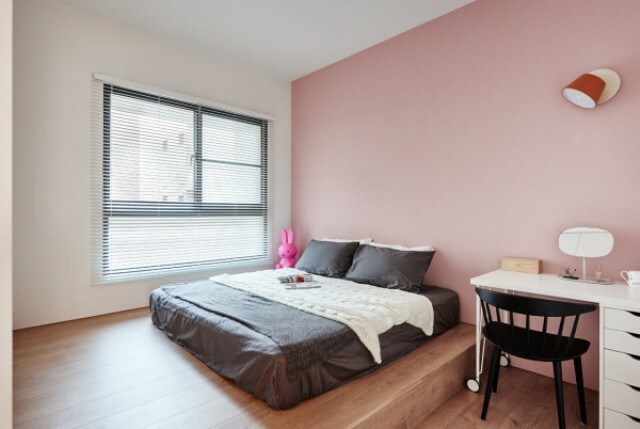 I totally love various modern design solutions used by the team here: a platform bed to highlight the sleeping zone, open niche shelves placed on the floor and not on the walls, glass sliding doors instead of usual ones to connect the rooms and save some space. 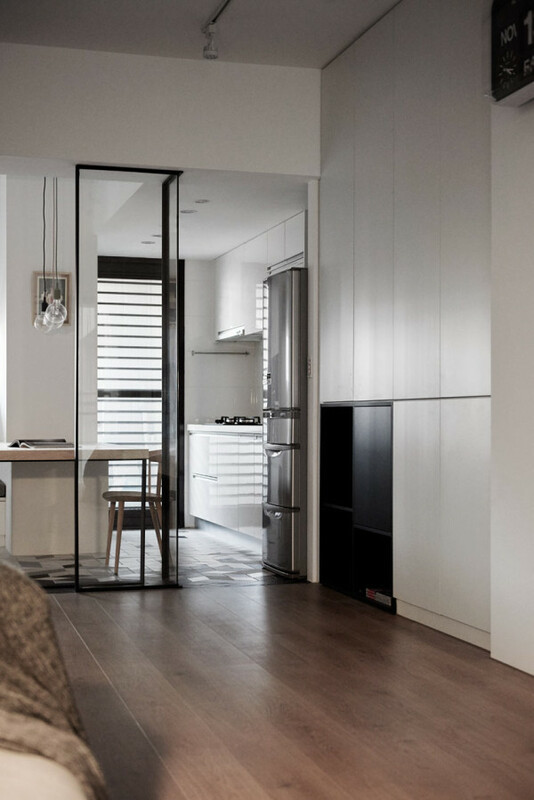 This apartment is a great example of a modern dwelling where functionality and style are mixed and where every element plays its own role.